More Than One Thing follows on from the double A-side jukebox 45 taster Roy The King / Sir Blunt, which was released in October 2018 and received much love from Huey Morgan on BBC 6Music, Tim Garcia on Jazz FM and Tina Edwards on Worldwide FM, amongst others. From the somewhat spooky horn and piano lines on the mysterious opener, TG Theme, to the lighter, more idyllic sounds of Second Attention, it’s clear that the nine talents at work on this album are set to deliver a full range of emotions through their well honed instruments and convey a truly unique instrumental set with a twist. The very catchy Jungle Bourgois sets Talmudi and Zisling’s euphoric horns set against Sol Monk’s frenetic drumming one moment, then the next the listener is transported through time and across continents by special guest Itzhak Ventura’s Egyptian flute, or ney, on the gorgeous Indopia, whilst all the while Rejoicer’s synths provide a swirling undercurrent of subtle modern day electronica. Piano Bubbles sees Hershkovits’ trademark instrument trade notes with Talmudi’s flute, whilst all the while Rejoicer’s frothy backdrop provides texture and warmth. The aforementioned Sir Bluntand Roy The King,with its festive finale, also make room for the meditative Talek, the boundary pushing, synth driven Nezach and an album highlight, the childlike waltz of A.L.P. The album concludes with the suitably serene Latrun, a celebration of Rejoicer’s synths, Hershkovits’ piano and the horn section in perfect harmony, bringing something of a sublime conclusion to this most life affirming of long-players. 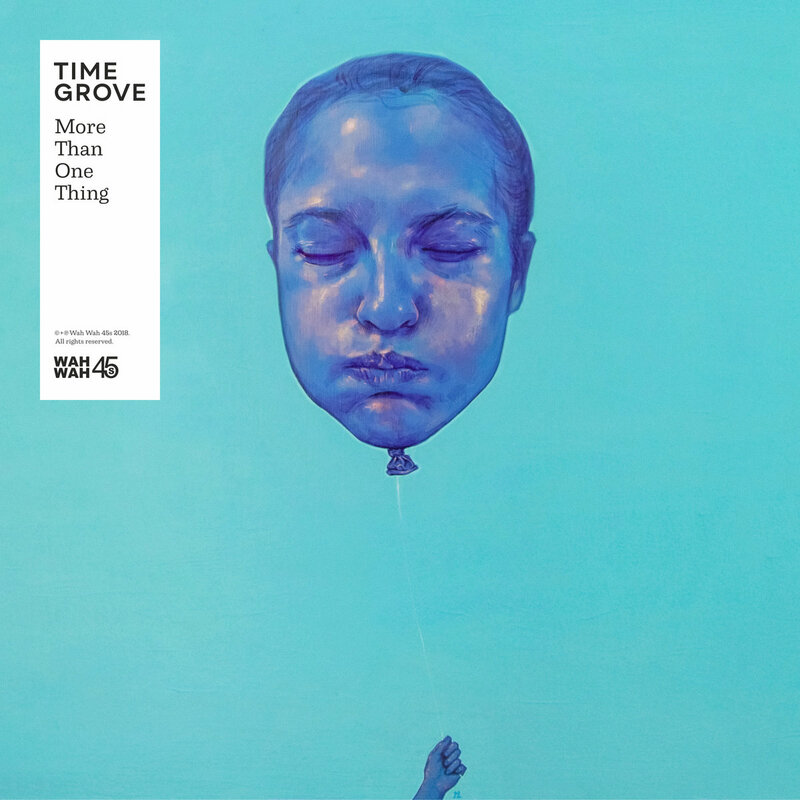 More Than One Thing, is released on January 25th 2019. Look out for live shows from Time Grove across Europe in the spring.